After 17 years, Hugh Jackman is bidding goodbye to his iconic role as Wolverine in his comic inspired film Logan. Director James Mangold has come up with a deeply satisfying and logical chapter of Wolverine, upgrading the superhero genre to new heights. The movie is more of a feverish account of a mutant could face: a powerful double-edged sword but beaten and broken. Set in 2029, Logan, an aged and ailed Wolverine trying to make his way in the world by making a hard living as a chauffeur of limo. He is looking after Patrick Stewart’s Charles Xavier, aka Professor Xavier, who is also suffering with multiple ailments and isn't what he once was - the mutant with amazing mental powers. Logan and Stephen Merchant’s Caliban works to secure a better life for their mentor who needs medication to control his dangerous telepathic seizures in an abandoned Mexican factory. 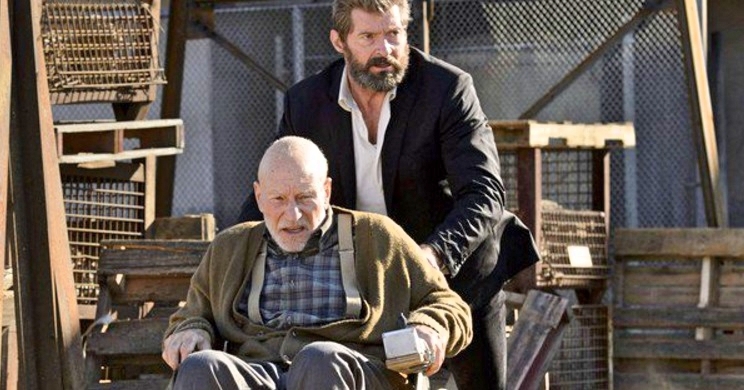 Getting to see again Patrick Stewart return as Professor X along with Hugh Jackman as Wolverine on screen, is one of the purest delight to catch Logan, knowing full well that it is the last time we see both of them in that capacity. How lucky we were to have an actor like Patrick Stewart in that role, easily turning in his best yet in the franchise. The attack of "Logan" isn't just about killing fights, but the touching and heart-rending relationship of more like a father-and-son bond between Logan and Charles. From previous installments of X-Men, Charles has always been the protector of his mutants, contrary here, the roles have reversed, and Logan is Charles’ caretaker. Jackman’s defying fight scenes is suited by an outstanding performance from a newbie actress Dafne Keen’s Laura, a young mutant of his kind was put into custody of Logan by a motherlike health care worker, Elizabeth Rodriguez. Laura was among the group of children molded into super-soldiers through experiments. Robert Boyd Holbrook’s Donald Pierce wants to use the children as weapons. Logan, Charles and Laura leave the factory and hit the road in the effort of protecting Laura from mercenaries. Fox has done a fantastic job keeping the villains under wraps. There are plenty of exciting, well-directed fight scenes in which Logan turns into a killing machine while Laura fights alongside him, and Keen is great in the action scenes. The character growth is by far the most comprehensive element of this film. It helps that we know Logan so well, indestructible and self-healing, to appreciate the character shift to a different and very vulnerable version. It gives us a more human wolverine, intimate, longing for what a family might have been like. This third film in the Wolverine trilogy is truly compelling and something that will leave a lasting mark, a final gift to longtime fans that is touching and beautifully made as well as incredibly effective and entertaining. A not so typical superhero movie that proves how much can be done in the genre without the need to resort to senseless destruction shadowing the end of an era. Want to see more of M's movie reviews? Check out here.